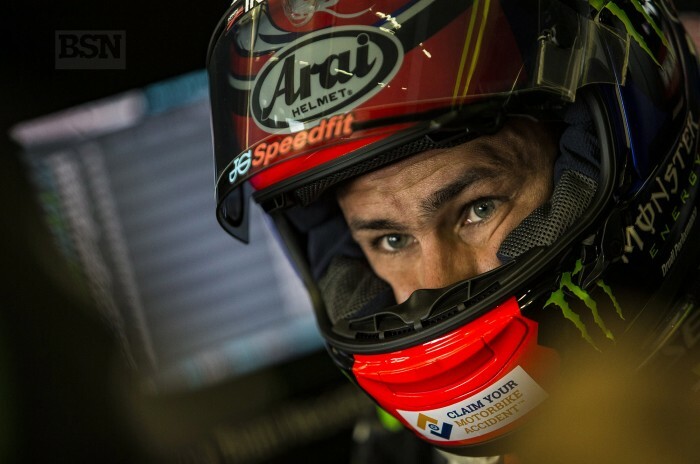 Kawasaki’s Leon Haslam finally spoke about the pain in his back that held him up all weekend long on his return to the Chang International Circuit but only after race three. A trio of fifth places were as much as the gritty Derbyshireman could realistically achieve in Thailand, when every change of direction or right-hander was painful and distracting for him. Without an ideal set-up either, it was very hard yards for Haslam in the heat. “It was more consistent for me in the second race today,” said Haslam after having some problem under braking in the first race on Saturday. “We were running the bigger brake discs, which I did not have the best of feelings with this weekend, but in general we made a big step with the bike. “I can say now that the weekend is over I have been suffering with a trapped nerve in my back, which flared up just before I came here, and I have had to take painkilling injections. I struggled a lot this weekend and I am glad it is over, in some ways. I had not been to Chang for four years. There was no particular reason for Haslam to suddenly suffer this problem, no accident or injury since the first round, as he explained. “It just flared up the Saturday before I came out here. I have to have a scan when I get back home because they think that it might be a slipped disc, as well as the nerve being trapped. I struggled a lot this weekend, I am glad it is over. I also have a small op on Thursday to get a cyst removed, so a few weeks of rest and we can start again in Aragon. Even though Haslam’s personal ceiling was fifth in three Chang races, two 20-lap full runs and a shortened sprint race that was called after six, he was not so far from the podium finish he always targets after his return from BSB.